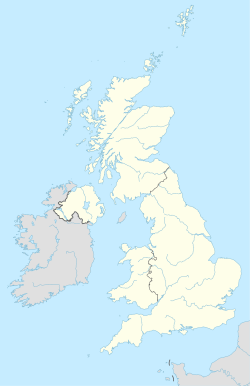 The SN postcode area, also known as the Swindon postcode area, is a group of eighteen postcode districts in England, which are subdivisions of ten post towns. These postcode districts cover north Wiltshire, including Swindon, Chippenham, Calne, Corsham, Devizes, Malmesbury, Marlborough, Melksham and Pewsey, plus a small part of south-west Oxfordshire, including Faringdon, and a very small part of Gloucestershire. The SN25 and SN26 districts were formed out of the SN2 district in 1999. SN postcode area map, showing postcode districts in red and post towns in grey text, with links to nearby BA, BS, GL, OX, RG and SP postcode areas. ^ "SN15 postboxes". edwardbetts.com. Retrieved 11 April 2018.